Receivable Savvy and Oildex Share Proven Solutions to Help Suppliers Eliminate Manual Customer Portal Entry and Get Paid Faster | Company Newsroom of Receivable Savvy, Inc.
Complimentary webinar identifies those practices that finance and receivables professionals can implement to streamline processes and improve cash flow. Atlanta, GA, August 10, 2017	(Newswire.com) - Manual portal entry and limited visibility on submitted invoices are among the biggest challenges supplier organizations face when interacting with their customers and trying to get paid faster. As illustrated in the 2017 Perceptions Study, more than three-quarters of suppliers indicated that getting paid faster, getting the invoice delivered faster and confirming the invoice was received were the three most important issues when submitting invoices to customers. To see how your organization can address and resolve these issues, join Receivable Savvy, the research and best practice resource for Order-to-Cash professionals, and Oildex, a service of Transzap, Inc. (“Oildex”) and the operator of the largest business network in the oil and gas industry, on Thursday, September 7 at 2 p.m. EST for the complimentary webinar: How to Eliminate Manual Customer Portal Entry and Get Paid Faster. In this webinar, Receivable Savvy and Oildex will be joined by special guest Bryan Pederson, Vice President Operations and Strategic Alliances with Amalto Technologies. Mr. Pederson will walk participants through the challenges that plague many supplier organizations related to invoicing and payment, and offer proven solutions around invoice submission, visibility, and faster payment. Save your spot and register for the webinar today. 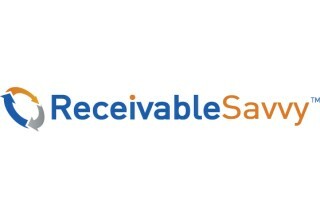 Receivable Savvy helps supplier organizations master the Accounts Receivable and Order-to-Cash process by maximizing revenue through proprietary research, best practice content, and insight from subject matter experts. Founded in 2015, the Receivable Savvy mission is to cultivate knowledge and understanding among suppliers while also delving into their habits, practices, and preferences. Comprised of industry veterans, Receivable Savvy strives to be the primary source of financial supply chain information for Accounts Receivable professionals focused on key elements of the Order-to-Cash process. Oildex, a service of Transzap, Inc. (“Oildex”), is transforming the way oil and gas companies manage their financial operations. 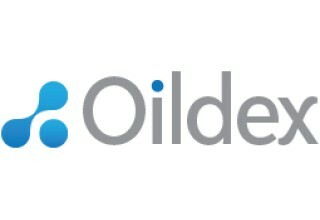 Over 250 operators, 61,000 suppliers, dozens of financial institution and millions of mineral rights owners in North America use the Oildex network to seamlessly and securely collaborate across their financial supply chains, automate key business processes, eliminate the high cost and errors of paper, and obtain access to key data to make more informed business decisions. Oildex is privately held, backed by Accel-KKR, headquartered in Denver, Colorado, and has offices in Houston and Calgary. Learn more about Oildex at www.oildex.com. 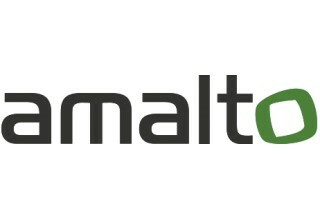 Amalto Technologies is a leader in Order-to-Cash, Logistics and Field Data Management processes. Supporting customers worldwide with innovative automation solutions, Amalto leverages state-of-the-art technologies to facilitate the exchange of important business documents. Founded in 2005, Amalto maintains a presence in the US, Europe, and Canada. Amalto facilitates connection of all customers and Trading Partners, processing quote requests, sales orders, field tickets, and invoices — all with the push of a button. Amalto offers solutions around quote automation, sales order automation, field data management and invoice automation.